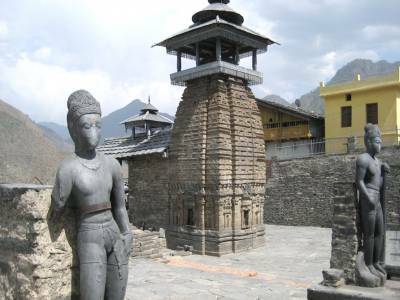 All the temples in the Devbhumi or the land of gods are famous all across the India for being the seat of Hindu Religion but a few among them have some historical significance also, such a temple is the Lakhamandal Temple of Uttarakhand. 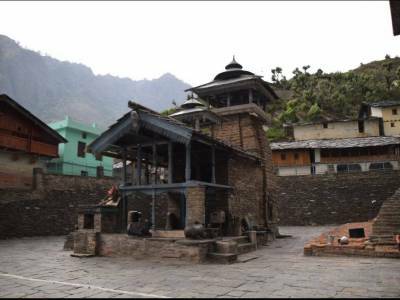 The Lakhamandal Temple is in reality an old temple complex that has many shrines but what is most fascinating about the establishment is the lingam idol of Lord Shiva. 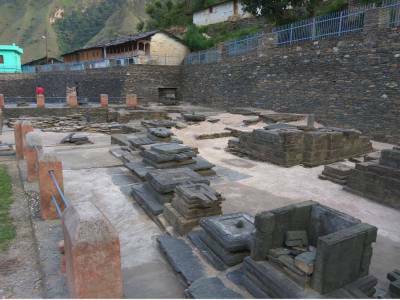 The temple complex is a very old one and is a place of great historical importance. Many enshrined small temples have faced destruction in the hands of the march of civilization’s progression, but few still remains to tell the people the story of legends and ages. The mythological legend is connected to the Mahabharata, the great Hindu Epic. It is believe that the Lakhamandal Temple is the house of wax that Duryodhana built in order to kill the Pandavas. 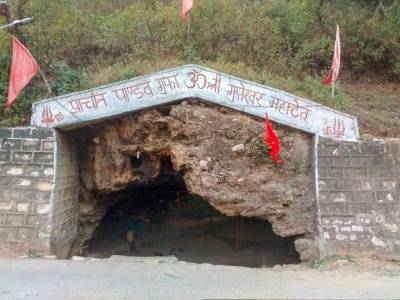 There is a cave system just outside the village and one of the caves on the road is labeled as Pandava Gufa "Witness the Pandavas exit plan". It is Said that Pandava Gufa dug by the Bheema. The architecture of the Lakhamandal Temple is very inquisitive. The temple complex has a large gate guarded by two statues signifying the man and the devil. The main attraction of the Lakhamandal Temple is however the lingam idol of Lord Shiva. 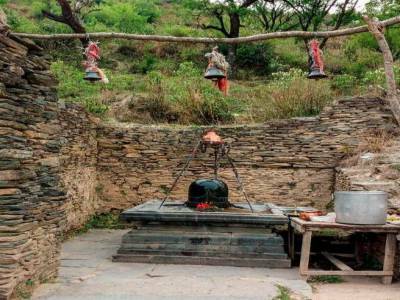 The lingam is built by granite and the lingam shines when devotes bathe the Lord with water. The Lakhamandal Temple was built during the Gupta Era of Indian history. The Lakhamandal Temple is situated on the road connecting Mussourie with Chakrata. The Lakhamandal temple is however near to Chakrata about 100 KM on bus or car. The travelers and pilgrims alike visit the Lakhamandal Temple for worshipping & a slice of history. Get quick answers from travelers who visit to Lakhamandal Temple.